DeWine waves to supporters in Columbus on Nov. 6, 2018. That night, the Republican beat Democrat Richard Cordray for Ohio's top job 50-47 during the midterm elections. 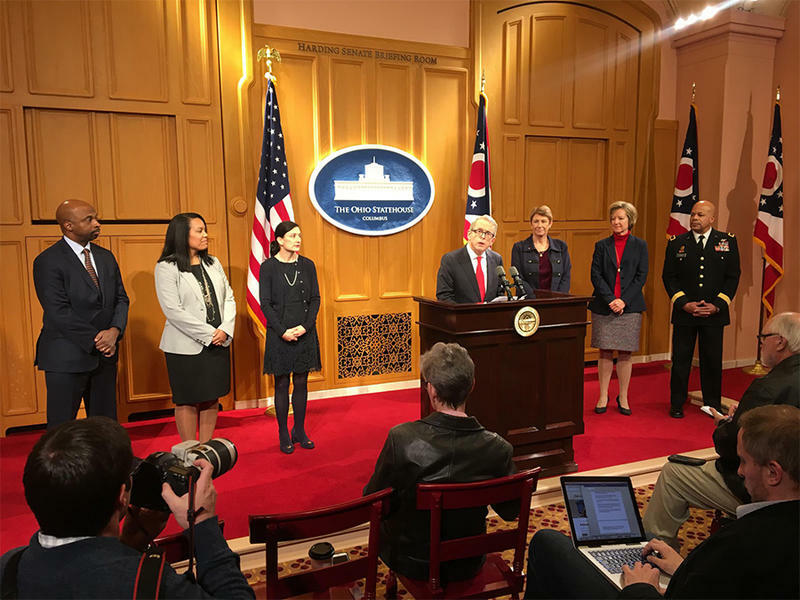 Today, Ohio Attorney General Mike DeWine was sworn in as governor of the Buckeye State. 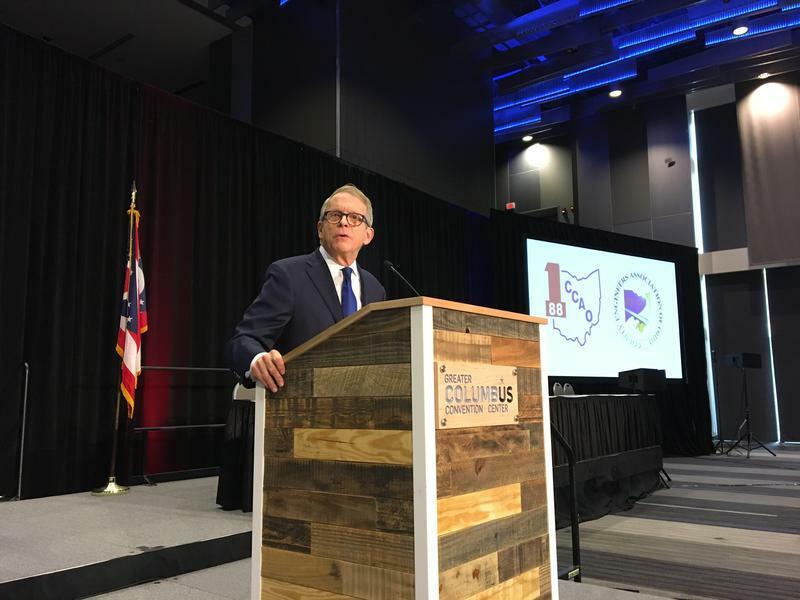 At midnight, in a private ceremony on his farm in Cedarville, DeWine took the oath of office and immediately signed a handful of executive orders. Beginning at noon, the Statehouse News Bureau of Ohio Public Radio and Television will present live coverage of Inauguration Day activities from Capitol Square in Columbus. The program is scheduled to run for roughly an hour and will be closed captioned. DeWine's career in Ohio politics spans five decades. The 72-year-old has held a series of elected offices here, from Greene County prosecutor, the Ohio Senate, the U.S. House and lieutenant governor. Most recently, he served as the state's attorney general, where he first beat his Democratic gubernatorial opponent, Richard Cordray. In that 2010 race, he won by less than 49,000 votes out of 3.8 million cast. This 2018 race for governor was not as close but still tight - DeWine earned 50 percent of Ohioans' votes to Cordray's 47.